VIEW Journal of European Television History and Culture, our peer-reviewed multi-media and open access e-journal in the field of television studies, devotes its 10th issue (Winter 2016) to Non-fiction Transmedia. With this issue we aim to offer a scholarly perspective on the emergence of transmedia forms, their technological and aesthetic characteristics, the types of audience engagement they engender, the possibilities they create for engagement with archival content, the technological predecessors that they may or may not have emerged from, and the institutional and creative milieux in which they thrive (or don’t thrive). We welcome contributions from all perspectives including but not restricted to aesthetic, sociological, industrial, media archaeological, and audience/reception studies perspectives. Over the last decade, the technological tool set for audiovisual storytelling has vastly expanded. On-going developments in fields including data visualisation, social media, interactive video, second screens, haptic devices, artificial intelligence and virtual reality have led to a proliferation of opportunities for media makers to reconceptualise linear narrative formats, to embed them in non-linear structures and networks, or to abandon them altogether. The term “non-fiction” has been used in film language to describe movies that are not in the area that the industry and the audience define as “fictional cinema”. Audiovisual non-fiction is a vast field containing documentary, journalism, film essays, educational videos, museum exhibitions, scientific films, institutional, industrial or propaganda videos, etc. Over the last years, interactive digital media have greatly affected the logics of production, exhibition and reception of non-fiction audiovisual works, leading to the emergence of a new area called “interactive and transmedia non-fiction”. One of its key points is that it can deal with factual material in such a way that it influences and transforms the real world around us. 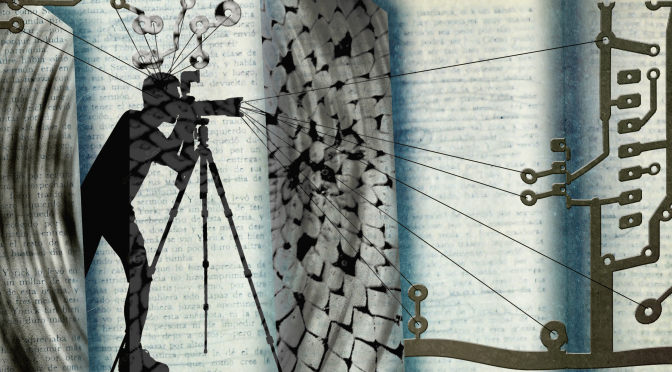 While the audiovisual non-fiction field has been partially studied, a few years ago emerged a new field focusing on interactive and transmedia non-fiction narratives, an unexplored territory that needs new theories and taxonomies to differentiate from its audiovisual counterpart. How have established media organisations responded to these developments? While some have provided support networks, funding, and online broadcast opportunities to help foster experimentation in the cross-over domain of ‘transmedia’, other media organisations – including many public service and commercial broadcasters, archives, and publishers – have stuck to known business models. The result is that many areas of transmedia (for example, interactive documentary) remain niche offerings. Exploration of main fields of non-fiction storytelling through a transmedia approach: documentary, journalism, essay, museums, education, etc. Contributions are encouraged from authors with different kinds of expertise and interests in television and media history. Paper proposals (max. 500 words) are due on March 12th, 2016. Articles (3 – 6,000 words) will be due on July 3d, 2016. Longer articles are welcome, given that they comply with the journal’s author guidelines. For further information or questions about the issue, please contact the co-editors: Arnau Gifreu-Castells (University of Vic-Central University of Catalonia), Richard Misek (University of Kent), Erwin Verbruggen (Netherlands Institute for Sound and Vision). See www.viewjournal.eu for the current and back issues. VIEW is supported by the EUscreen Network and published by the Netherlands Institute for Sound and Vision in collaboration with Utrecht University, Royal Holloway University of London, and University of Luxembourg. VIEW is proud to be an open access journal. All articles are indexed through the Directory of Open Access Journals, the EBSCO Film and Television Index, Paperity and NARCIS.